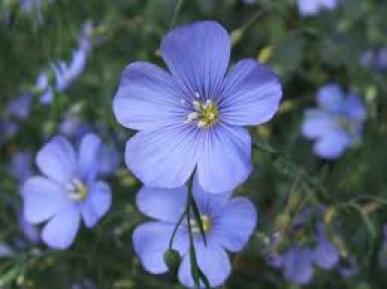 Since 2000 we have been producing linseed (flax seed) products as a high quality health food. We supply products to our customers (Retail & Wholesale) in the UK and Europe. Most of which are made from 100% British grown linseeds. The unusually hot, dry summer of 2018 resulted in a reduced harvest. Until the next seasons harvest we have had to source our organic linseeds from the within the EU. You can buy fresh, natural or organic, pure, unrefined, cold-pressed linseed (flax seed) oil. If the oil is not for you we also produce our pods (supplements/capsules). One of our top sellers is ground linseed meal all of which can be found in our shop, here. Although we have seen the demand for linseed oil rise dramatically since we started our business, we are delighted to say that very little has changed on the farm itself - we continue to remain a family-run business who believe passionately in the benefits that linseed oil can bring. Our personal service is at the heart of what we do - more often than not if you contact us, it will be one of the family who will handle your enquiry. When food is loved it is then that the food is truly worth it! We continue to pride ourselves on the quality of our local farm-fresh products and look forward to sharing the benefits with all our customers! The Linseed Farm was founded in 2000, initially under the brand name of High Barn Oils.